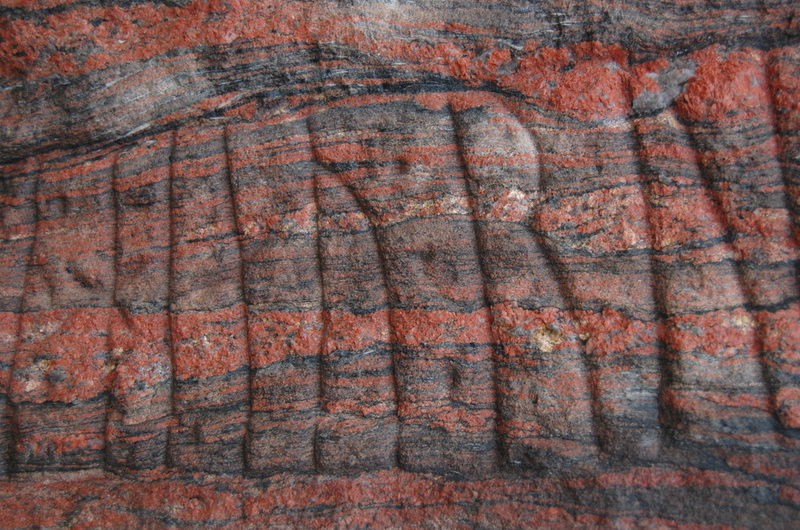 "Ravnunge-Tue and Funden and Gnyple, those three made Thorvi’s mound"
"Tófi, of Hrafn's lineage, made these runes in memory of Thyre, his queen"
The Museet Ribes Vikinger has some other artefacts with runes on display. 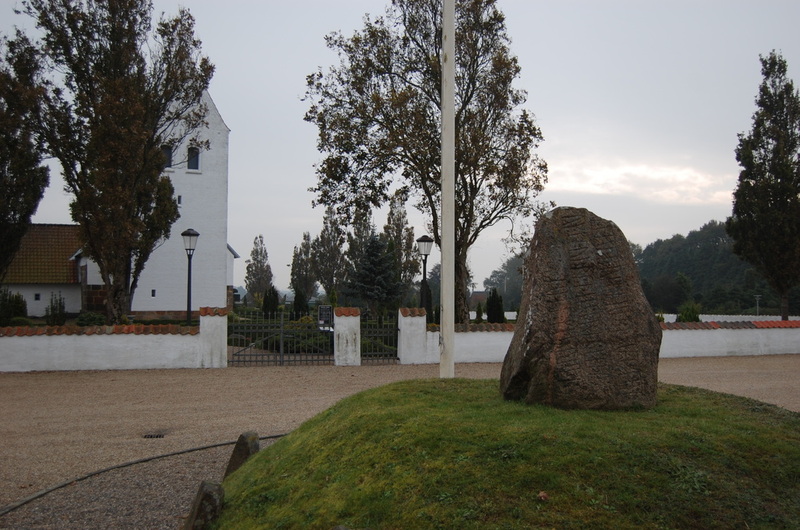 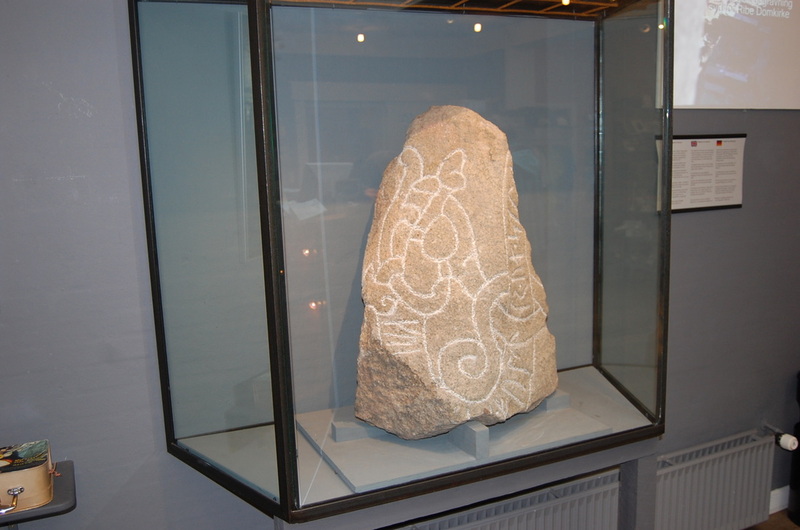 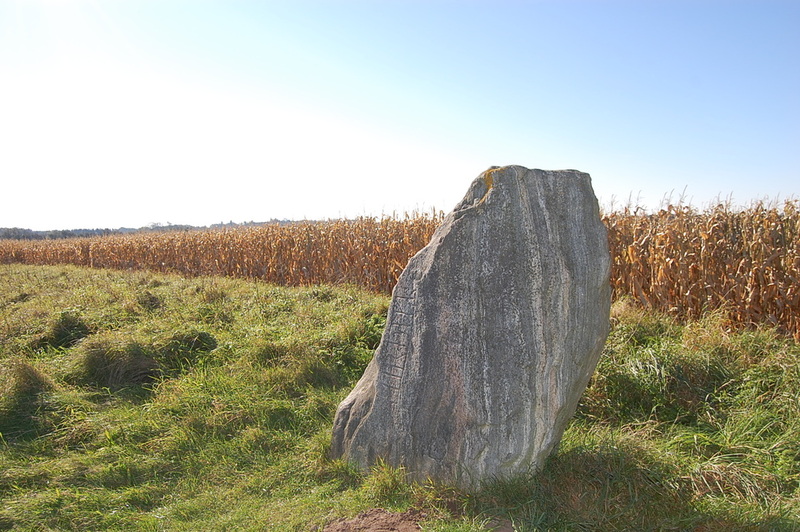 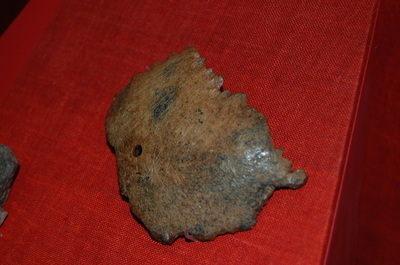 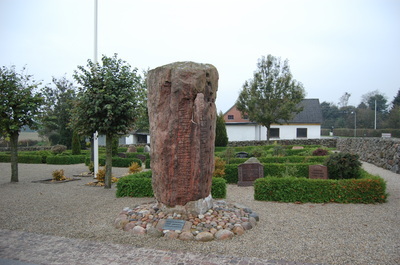 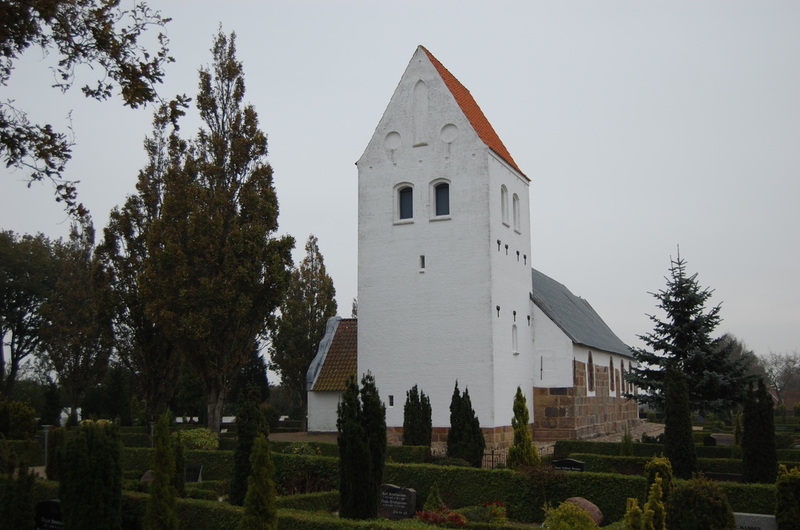 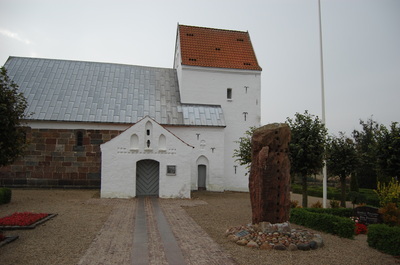 The stone was found only a couple of years ago during excavations near Ribe Domkirke. It reads the beginning of a name ("ku") and the words "trusted" and "soul". 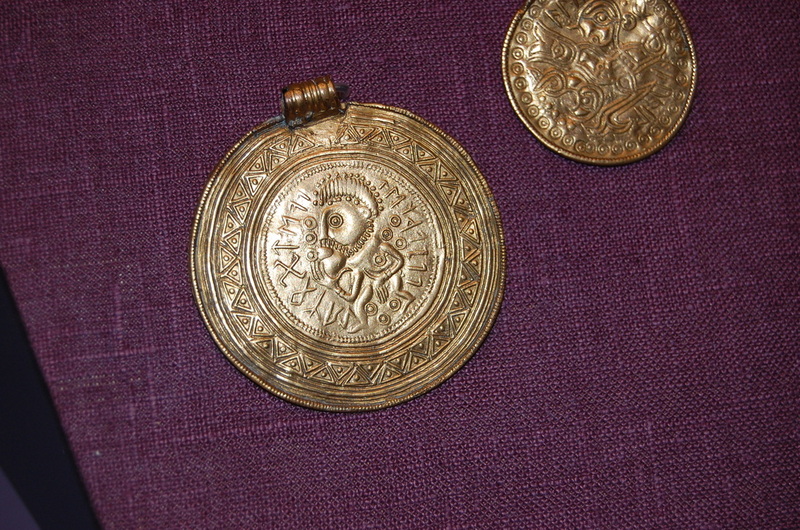 Coins were minted with runes as well, but the strangest artefact was a piece of a skull. 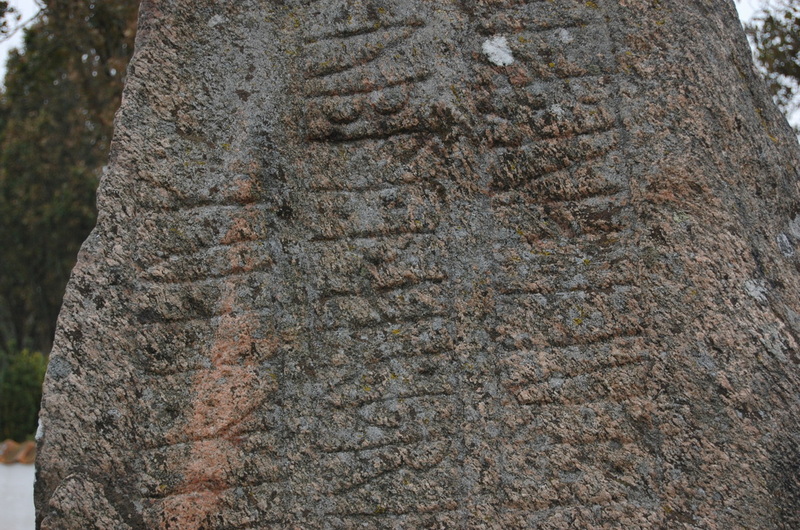 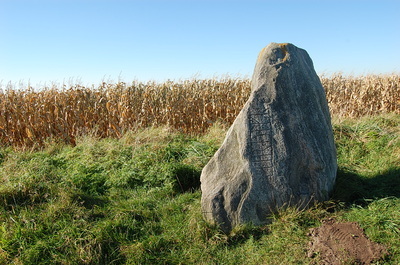 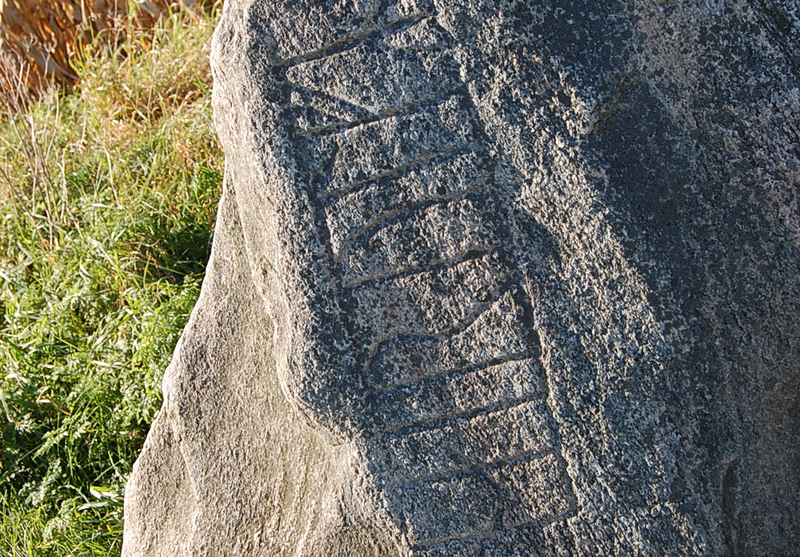 Visible are some straight-carved lines; hardly visible is that these are runes. Unlike Sweden, Denmark has replaced many runestones to museums, so this map represents the places where they originally stood, not necessarily where they are now.